Beer is a big deal in Belgium. The choices are overwhelming, with specialist bars in Brussels offering several hundred choices. About 125 Belgian breweries produce about 800 standard beers. However, special one-off or short-term products raise that total to over 8,000. Proper presentation is a crucial part of the experience. Every beer is served in its own special glassware. This is much more than simply having the brand name silk screened or etched onto the glass — the glass is of a specific shape to enhance the aroma and taste. 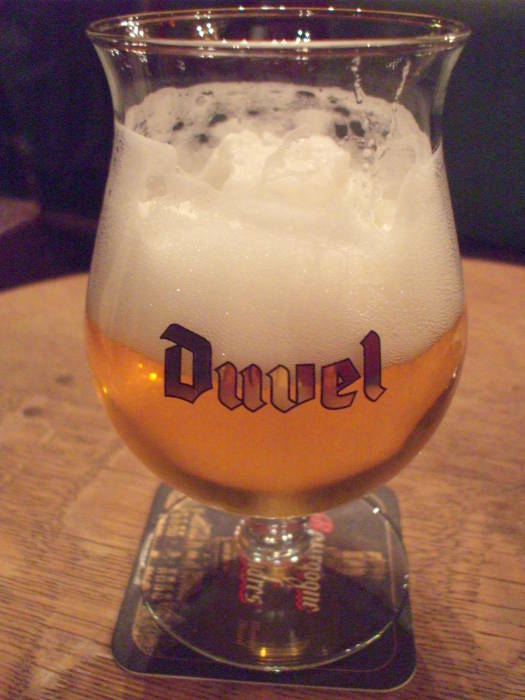 The first beer below is a Duvel in a glass with a tulip shape which enhances foam retention. The second is a Leffe in a goblet designed to better capture the aroma. 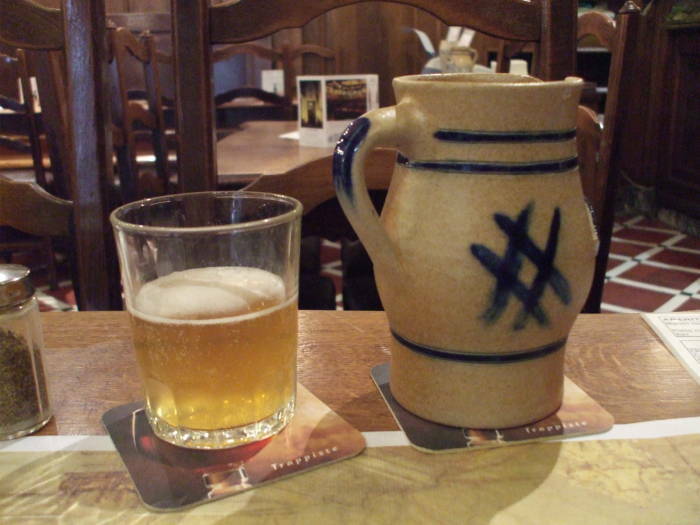 Most Belgian beer is served out of bottles, making it practical for a bar or cafe to keep at least a few dozen choices in stock. Or, in some cases, hundreds. Beer appreciation in Belgium is about sipping, not guzzling, experiencing the wide range of tastes. The very wide range, as some categories of Belgian beers are very unusual in comparison to the products of most other countries. Belgium is famous for Trappist beers. To be certified as a Trappist, the brewery must be within a monastery, the monks must play some role in the production, and the profits from the sales must be used to support the monastery itself or social programs run by the monastery. Trappist is a controlled term of origin, but it does not specify the style. Trappists vary widely. Chimay is one of the best known and most widely distributed. Abbey beers are produced in affiliation with an operating monastery, but they do not quite qualify for Trappist designation. 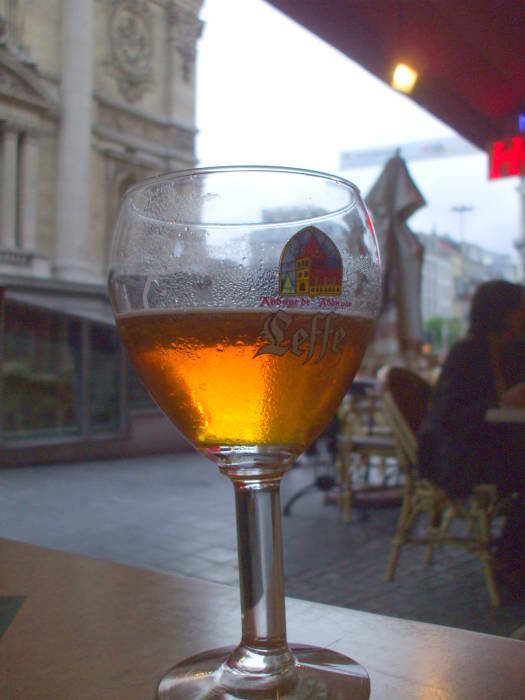 Leffe, formerly brewed within the monastery but now produced by industry giant InBev, is a prominent example. 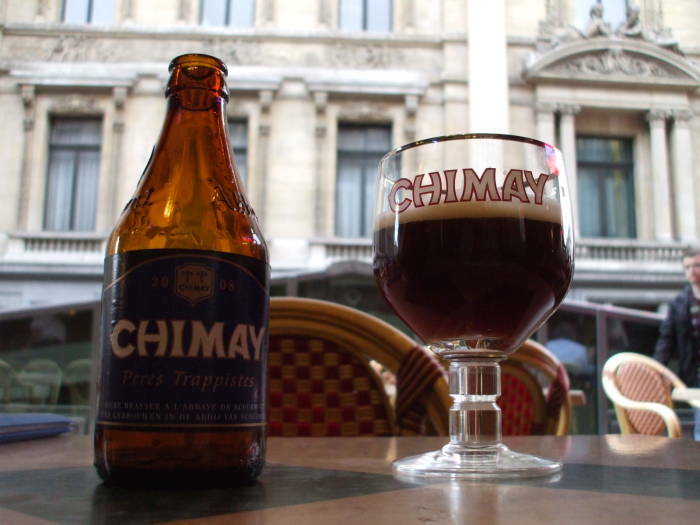 The first Trappist ale below is a Chimay Bleue. 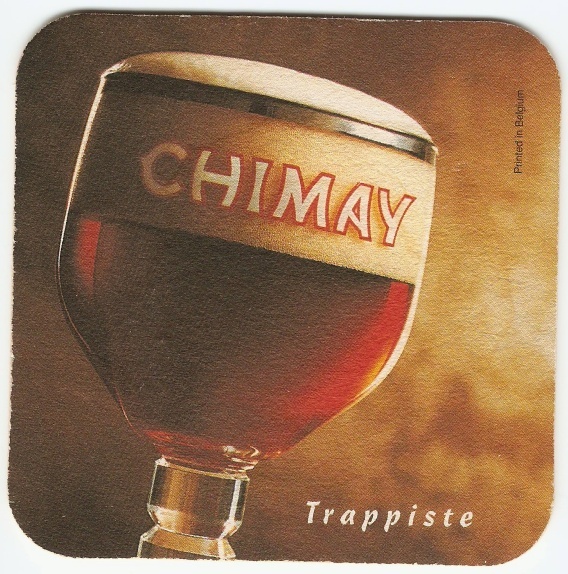 There are three Chimay Trappist varieties available, all with fruity and somewhat sweet tastes. They are said to have "hints of pepper" from Chimay's special house yeast. Chimay is brewed at the Scourmont Abbey in the town of Chimay, very close to the French border. The second Trappist ale above is an Orval. It is brewed in the Abbaye Notre-Dame d'Orval in the Belgian province of Luxembourg, in the extreme southern tip of Belgium along the French border and near the small country of Luxembourg. 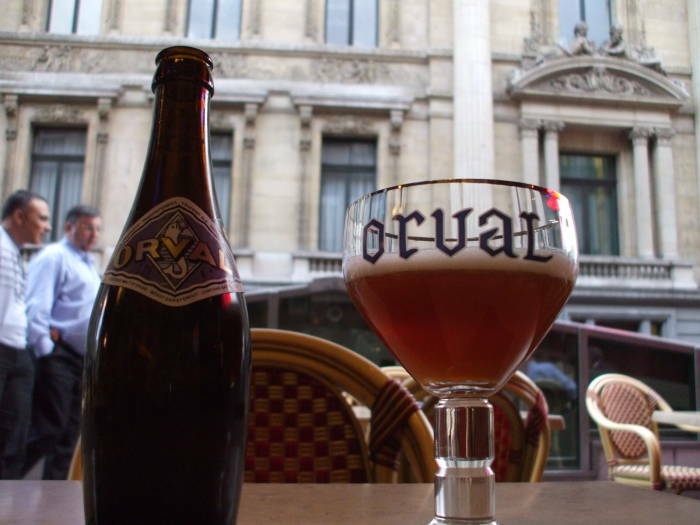 Orval is sometimes described as having "a complex aroma of leather, horse blanket, spice, and many other earthy components." While it is a Trappist, it is rather unusual for that category. Its unusual taste is due to dry hopping and the use of a wild yeast variety unique to the brewery's location. A strain of Brettanomyces contributes two pungent phenolic compounds and a fatty acid: 4-Ethylphenol (Band-aids, barnyard, horse stable, antiseptic), 4-Ethylguaiacol (bacon, spice, cloves, smoky), and 3-Methylbutanoic acid (sweaty saddle, cheese, rancidity). 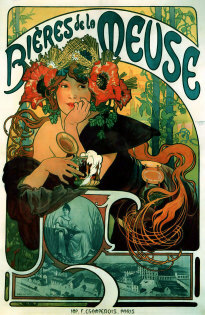 Art Nouveau poster for Belgian beer. Lambic is a wheat beer fermented spontaneously by exposure to wild strains of yeast and bacteria native to the valley of the Senne River. The wort is brewed, cooled, and then exposed to the open air. It has more recently been discovered that many of the key yeast and bacteria are endemic to the timber of the brewery buildings and fermentation vessels. Exposure to outside air is not as critical as once thought. Up to 86 microorganisms have been identified in lambics, but the two most significant are the yeasts Brettanomyces bruxellensis and Brettanomyces lambicus. Here is a page describing the process and how to attempt to use this yeast in home brewing. Wyeast Laboratories sells both Brettanomyces bruxellensis and Brettanomyces lambicus for the ambitious home brewer. The wort must be brewed and the fermentation started during cooler weather, between October and May. There are too many unfavorable microorganisms in the air during warm weather. Since hops add antibacterial properties that decrease spoilage, they are added to lambics. However, aged dry hops are used to provide antibacterial properties without bitterness. The fermented lambic is then aged, from three to six months ("young") up to two to three years ("mature"). It is commonly described as dry and cider-like, with a sour aftertaste. Unlike most Belgian beers, lambics are generally not bottled. They are served au fût or au pression (on tap) and therefore most are only available close to their place of production. However, a few cafes in Brussels carry lambics, like À la Bécasse, where the below picture was taken, and À la Mort Subite. Gueuze is a blend of young and old lambics, leading to a secondary fermentation from the sugars remaining in the young lambic, and a sparkling result. Kriek and other fruit lambics are the result of adding fruit or fruit concentrate to lambic. Kriek is made with sour cherries and their pits, while Framboise (or Framboos in Flemish) is made with raspberries. You might want to have a light snack with your unusual beer. Many cafes offer small plates with assortments of sliced sausage or cheese. 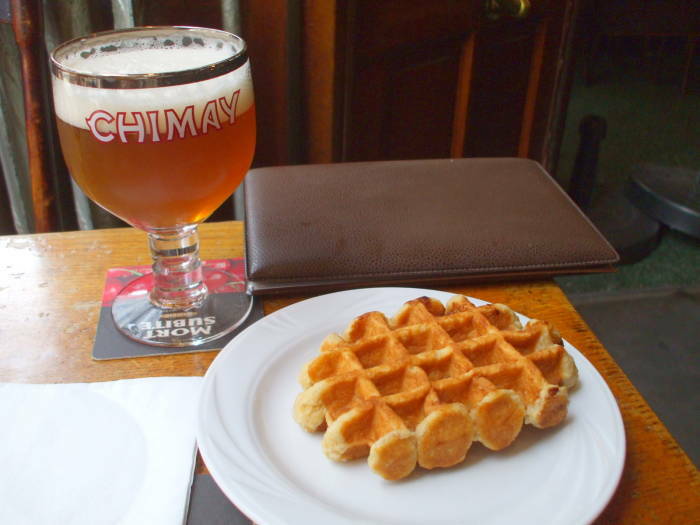 But what would be more Belgian than a waffle? This is the introduction and overview, some basic facts about the wide variety of Belgian beers. Now let's continue to a sequence of traditional cafes in Brussels! © by Bob Cromwell Apr 2019. Created with vim and ImageMagick, hosted on FreeBSD with Nginx.